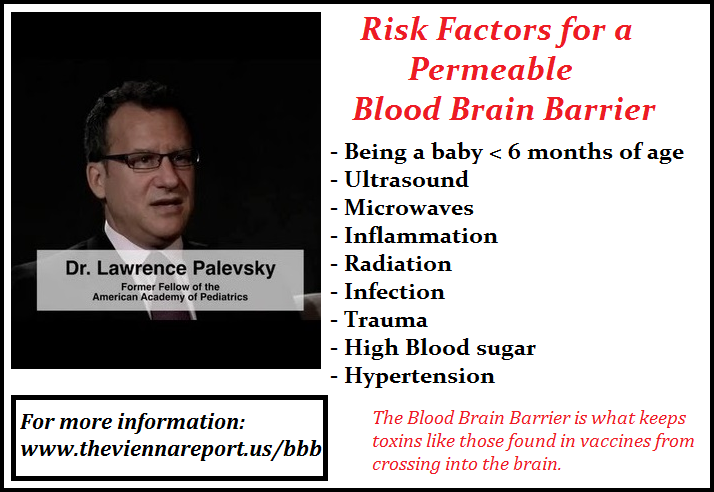 Dr. Palevsky’s explanation starts at 53:15. Here’s the cliffs notes. In the MMR you have: Polysorbate 80, live attenuated virus (due to formaldehyde, also in the vaccine), and sorbitol (only 3 of the many ingredients). According to the CDC schedule, you also give it alongside aluminum-containing vaccines and some mercury-containing vaccines. 1.) Sorbitol, like its sister manitol, could open up the blood brain barrier. That’s the intended use of manitol. 2.) Aluminum binds to the Polysorbate 80. With an open BBB you’re looking at a heavy metal and virus cannonball into the brain.